We never thought it would come to this, but: Sally, your family is creeping us out. Ser-iously. Oh, we're accustomed to the agreeable strip's loose, "floating" facial features, as the cartoon has literally changed hands over the years. And we long ago accepted that most every character in the strip -- you to hubby to daughter to boss -- strikes the exact same note of "knowing" humor. No, it's "Mr. Forth" we specifically have an issue with. We don't know how to break this to you, Sally, but your husband appears to be...well, quite frankly, he's dressing in drag. Not that there's Anything Wrong With That, mind you, beyond his choice of frocks. No, it's that: (a) You yourself seem not to have noticed; and (b) your syndicate appears to be hoodwinked. Which means one thing: "Mr. Forth" is leading a secret double life. The proof: Look at today's second panel. Now, now, we know what you're saying, defenses up: "But that person in the middle panel is my mother." To which we say: Open your eyes, Sally! The facial features and hair are near-identical. And you know this isn't a same-genetics thing because, well, she's your mother, not his. All of which leads to the reader to make a tough choice. We choose to believe Option A: "Mr. 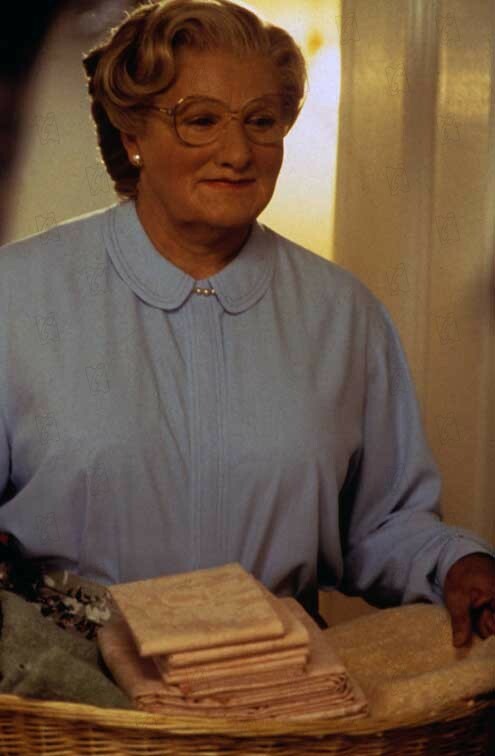 Forth" is pulling a "Mrs. Doubtfire" and donning muumuus as a ruse to see poor Hilary because you and he, unbeknownst to readers, are separated. A shame and a pity, but there it is. So why do we insist on believing this? Because the only other plausible explanation is -- gasp -- Option B: that the artist only knows how to draw one type of face. And as we all know, a cartoonist who has limited artistic ability never but never cracks the comics page. Good luck, Sally, we faithful fans will be there in your time of need. Be brave. Be strong. And please, be honest with "Mr. Forth" about those unsightly pantylines. Next: The E-Mailbag: When to Hold a Feature's Funeral?